Site surveys derived from drones and photogtrammetry are becoming increasingly popular. They are an efficient and safe method of capturing data for subsequent processing to produce a range of outputs including Digital Eleavtion Models, Point Clouds and Orthomosaics. "Good" accurancies can be achieved and whilst you wouldn't use the data for setting out there are a multitude of uses that the data can be used for with confidence. One of the frequent requests I get is for calculating volumes, for example quarry stocks or soil heaps. Before getting in the subject matter I should elaborate on "Good". 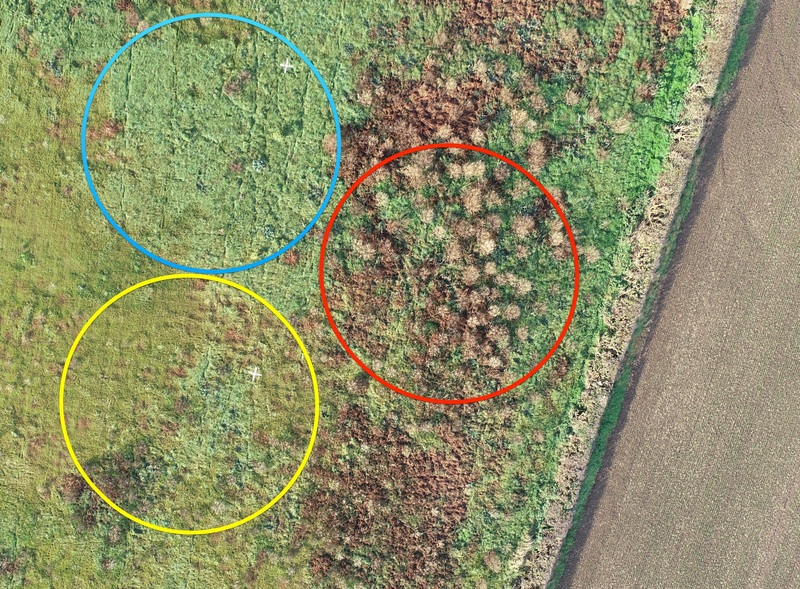 From drone derived data using Ground Control Points accurancies of circa 40mm in the X/Y plane can be achieved and circa 60mm vertical from a typical drone survey. Better accurancies can be achieved where required. One aspect that does need carefull consideration is the presence of vegetation on a site to be surveyed. The process of photogrammetry relies on good data being captured by the drone's camera. This brings into play a wide variety of variables from the sensor size, height flown, camera shutter speed and aperture and of course focus. Add into that mix weather. The camera will capture whatever it sees and this will be the basis of all the data outputs from the survey. When undertaking volumetric surveys jobs vary considerably from measuring newly created soil bunds through to those establised a few years ago. A survey of the former is going to result in accurate volumetrics as the camera will be looking at the bare earth. However a site where vegetation has become established like the one see here can result in over estimated volumes. In this case the vegetation depth averaged 500mm and the appropriate adjustments had to be made. I undertook a survey this week of a small site where I was asked to ascertain the volume of soils which are on the site in excess of the original ground levels. I had a copy of the topographical survey of the site before and materials were placed on the site. The site was relatively small, no more than an acre, on arrival it was clear that vegation could be an issue for the proposed drone survey. Added to this the depth of the soils placed on site were shallow and a maximum of 2 metres. The photograph shown here is one of the nadir images captured from the survey. I had walked the site to place the ground controls and at the same time review the vegetation. During this process I had already decided that I should capture levels acrosss the site with the GNSS RTK Roving Station I was using for surveying the Ground Controls. The image shows three highlighted areas. The yellow area was a thick grass sward, depth about 150mm. The blue area was denser again and taller with heights varying between 2/300mm. The red area had taller groups of vegetation with individual plants being upto 1m high. In addition to the drone survey I surveyed the site and captured 150 points in a basic grid over the area tipped. For both the drone survey and the traditional survey I produced a Digital Surface Model as well as producing a DSM for the ground pre tipping. When comparing the volumes the results provided the evidence that the traditional survey, in the case, was the correct decision. The volume of materials using the drone survey was c2.000m3 and the volume via the traditional survey was just short of 1,500m3. This variance in this case does show that where the tipped materials are relatively shallow that vegetation can make quite a difference. However where you are surveying bare ground the resultas are going to be consistent. 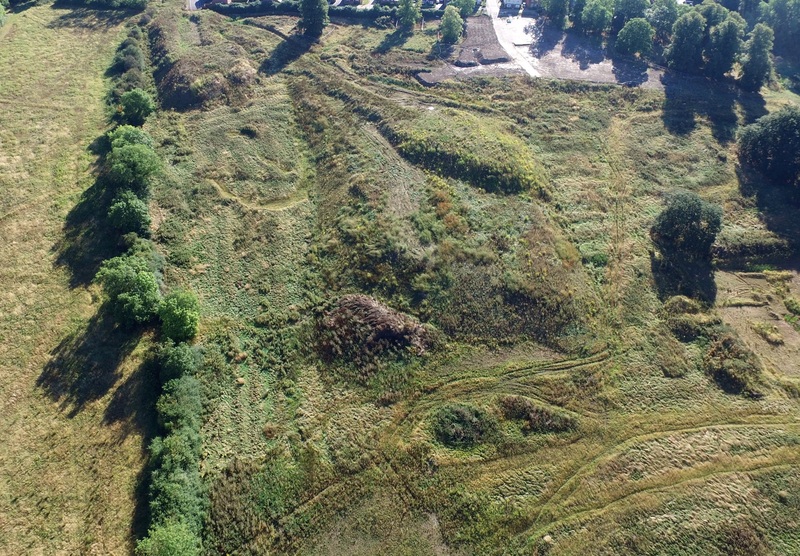 Also this week I undertook a drone survey of a 4ha site which a topographical surveyor thought would take over half a day to survey with two people. The flight time was under 5 minutes and I was on site for about 90 minutes. The client had the survey data, outputs and volumes the following morning. Contact us for any drone surveys you require, the easy way to get the outputs you need quickly and cost effectively.